How can my employees apply for a shift? The hatched shifts are not yet fully assigned. 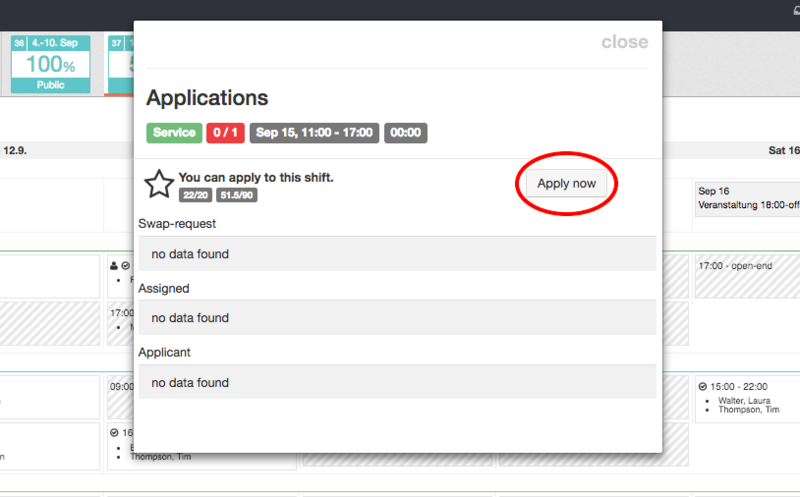 By clicking on the shift, a popup appears with the button "apply now". After clicking this button there is a question mark in the upper left corner of the shift which shows the employee that he / she has applied for the shift and needs to wait for an answer. Now the employee has to wait and see if the application is accepted by you - the admin or manager. The information is carried out through notification by mail. If the application is accepted the question mark changes into a "manikin" icon.